The Garwood below was delivered in 1935 to the Fitzgerald and Lee dealership. It came with a Chrysler Crown, but the owner modified it by installing a Scripps 152 engine and a rear wind screen. 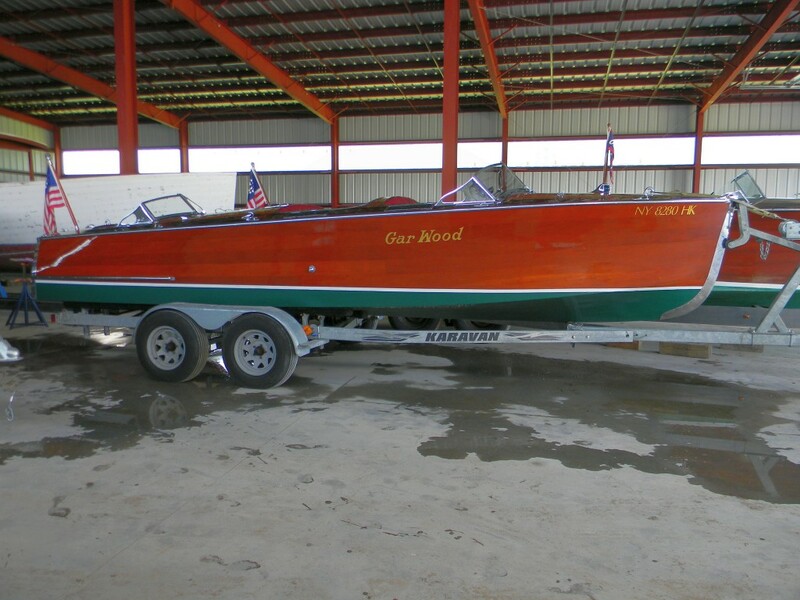 The Gar Wood was used in the Thousand Islands area for four years, then put into covered storage in 1939, where it sat for 35 or more years! 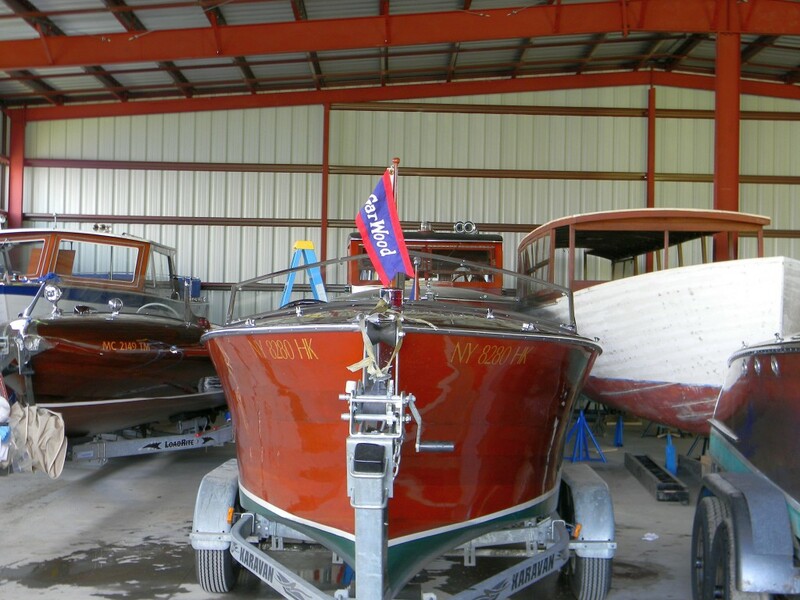 Following a period of outdoor storage, the boat restoration began in 1990 and continued for the better part of the decade. All fastenings were replaced with bronze. 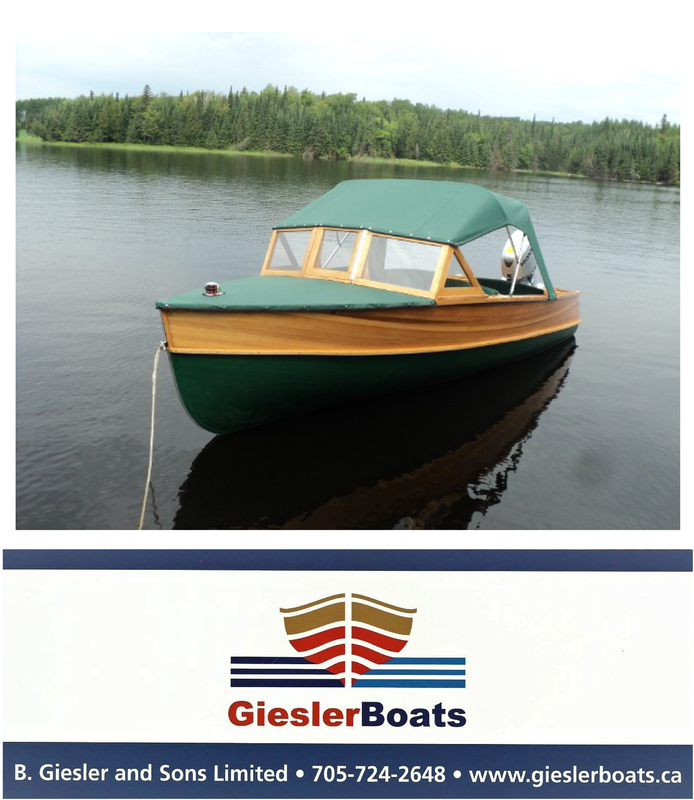 A new 5200 bottom was installed and the outer skin sealed with epoxy. 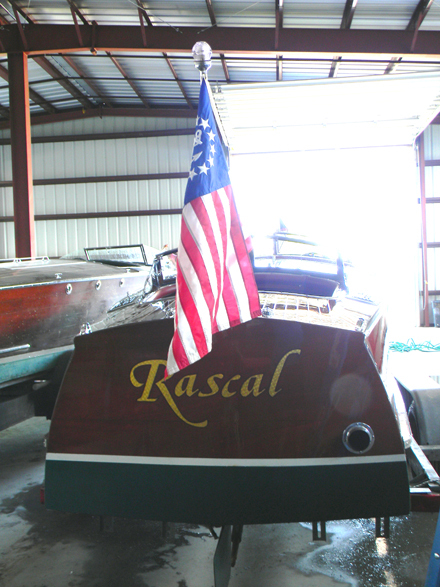 Copper nails were installed New decks and transom were epoxies to a plywood base layer to reduce shrinkage. The engine was fully restored. 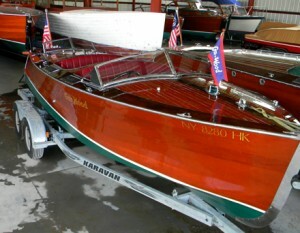 All hardware was re-chromed and the boat was rewired with period wiring. 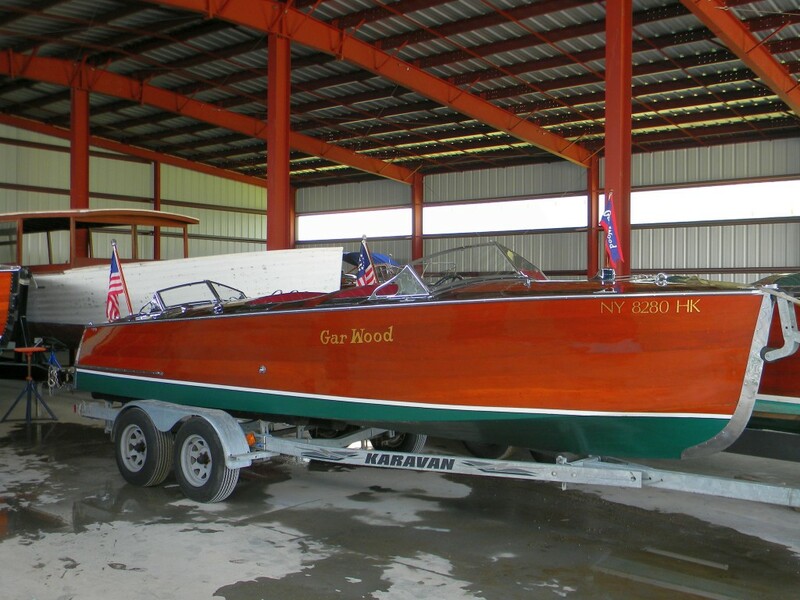 The sale of the Gar Wood includes a new galvanized trailer, Sunbrella tan cover, original engine manual and brochure. Original price $129,000.